Today we entered Switzerland. Just. And we still haven't been asked for a passport. The plan was to camp. 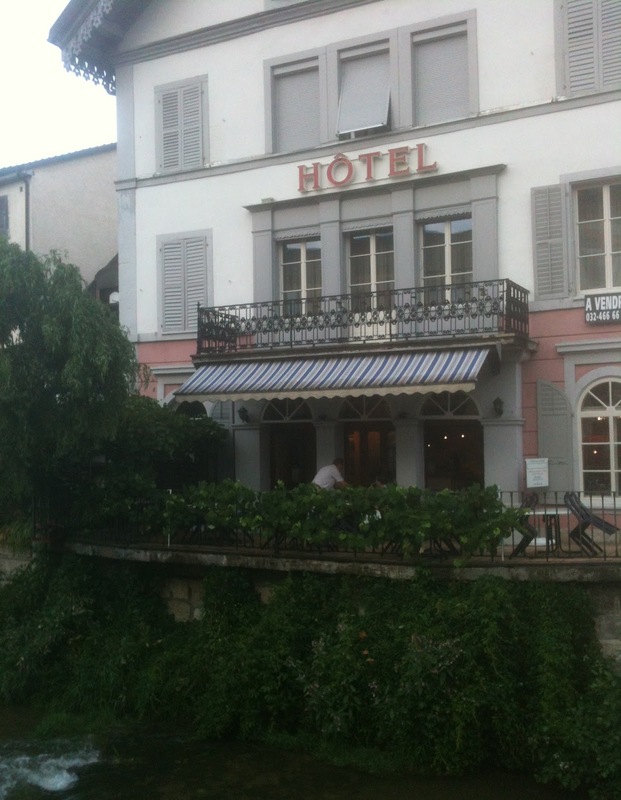 We stopped at a nice restaurant on the French/swiss border and ate another delicious meal. I had the local speciality of sausages, ham and salad with a hot cheese sauce. It tasted much nicer than it sounds. Richard has scallops. Not sure how that can be local considering we must be at the farthest point from the sea in Europe. The owner advised that the closest campsite was 10 miles away in the wrong direction. He then phoned a few hotels for us and found space in one in the right direction just accross the border. Throughout this trip so far everyone has been so kind and helpful. It has restored my faith in human nature. Basically people are nice. We arrived at the hotel in the dark (this will be a recurring theme) to be greeted by the Swiss/German owner and his wife asking if we were the English couple which the French man phoned about. He then seemed astonished that we were married, saying we were so young. I like this man. We showered, washed our clothes and went to bed. Then the storm of all storms. Thank God we weren't camping. It was then turned into restaurant and conference centre. This didn't work out so it became a hotel. The owner is now 75 and wants to sell it. I hope whoever does buy doesn't destroy the charm of this special place.